The tourist of today is no longer satisfied with just sitting on a coach and being taken from point A to point B with some shopping in-between. More and more tourist are looking for interactive tours where they get to actually meet the people of the country, experience local lifestyles and get to taste authentic local food. One popular way to do this is to opt for a cycling tour that gets you right into the heart of things. 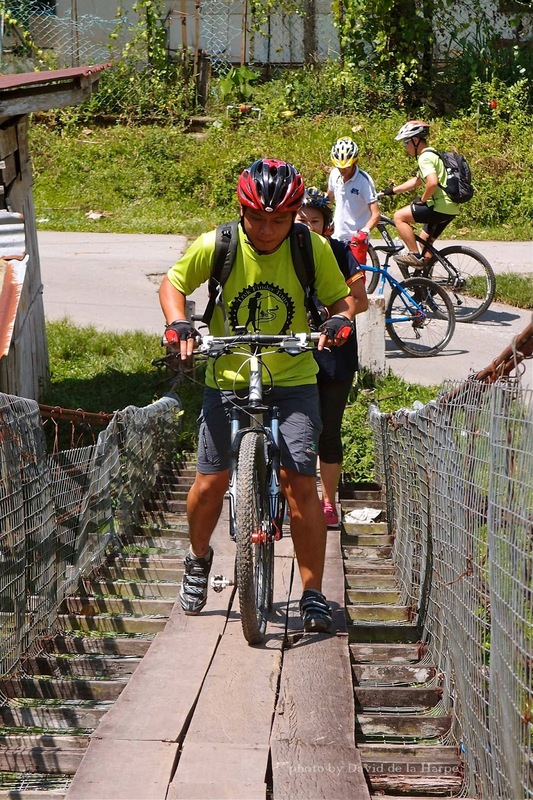 Although not new in Sabah, there has not been a lot of demand for cycling tours as many of the routes were mainly for Mt. Bike enthusiast and this has limited the participation of many visitors. The main challenge for bicycle tour operators is to find a route that is pretty flat, has some elements of nature and also culture. Not an easy task when you take into consideration the mountainous terrain of the West coast of Sabah. “Trek Finders Tours” , a local company run by 2 bicycle enthusiast has been able to find such a combination and a route that is suitable for visitors of all ages and physical fitness. The route is such that it can be adjusted to suite the fitness level of the guest and even children who can ride an adult bicycle can participate in this tour. Coffee and cakes in the village. Across rice fields to the rubber trees. with the farmers such as planting or harvesting of rice to picking fruit. At the end of the tour, guests have a choice to hop back into their van or continue riding to lunch. Lunch is taken by the banks of the Kuilu River before heading back to the city in your van. Trek Finders has various Cycling tours which differ in range of difficulty. Trek Finders Tour Sdn. Bhd.